We all want Modcraft/toomanymods back dont we. i think we should try and get mazquick to have a look at this blog and think wel... i guess if it meant so much i will! SO PLEASE MAZQUICKM CAN YOU BRING IT BACK UP AND MAKE MODDING EASY AGAIN! It is back and i just want to download it but if im not corect Frigen BRING IT BAAAAAAACK!!! BRING IT BACK PLEASE WE NEED THIS ITS THE BEST MOD INSTALLER EVER IN MOD INSTALLING HISTORY!!!!!!!!!!!!!!!!!!!!!!!!! I want Modcraft BAck nOw!!!!!!!!!!!!!!!!! I want it back, to! Someone ask masquick for the modcraft code and recreate the program! WE WANT MODCRAFT BACK!!! IF YOU AGREE ADD ME AS A FRIEND AND WE WILL GET IT BACK EVEN IF IF TAKES MONTHS OR YEARS! WE HAVE TO PROTEST!!! Yeah! We want modcraft or toomanymods back!!! YES IT IS! IT'S BY MAZQUICK! READ THE CREDITS! He re-codded it! Mazquick gave his project of "ModCraft" to another guy who then fked it up and called it TooManyModsLite. 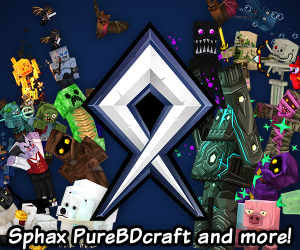 WE WANT MODCRAFT ITS WAS THE BEST MOD EVER!!!!! AND ITS WAS EASY TO USE!!!!!!!!! uumm... you guys do know he changed the name right? 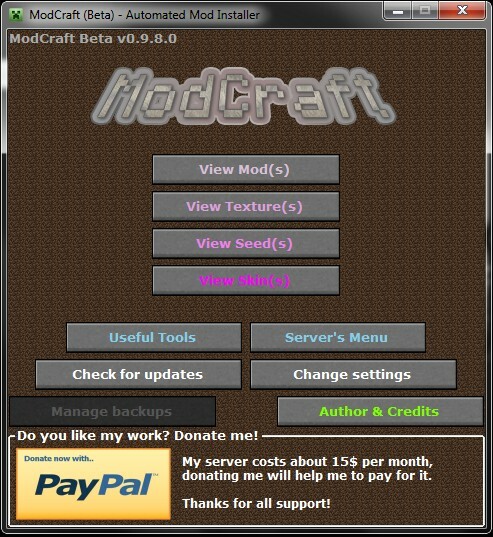 it is now called toomanymods and is updated often and works exactly the same as modcraft. maybe you should look up the facts before starting a page asking for it back. I agree, bring it back, and make it for Mac too! Keywords: Know what you're doing. Y U NO BRING IT UP? MODCRAFT PLZ COME BACK TO US! Minecraft movie coming up... Need Voice-actors and body-actors!